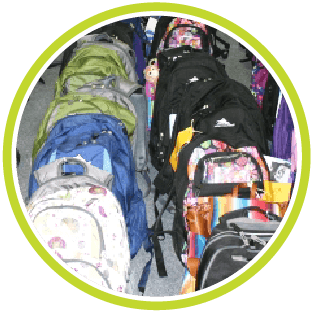 Transportation and Distribution Services is excited to launch our annual "Backpack Give Back" outreach program, designed to encourage the pursuit of higher education by disadvantaged youth in Orange County. You may contribute by donating a new or slightly used backpack to any parking information kiosk, the UCI Libraries, Anteater Recreation Center, or School of Medicine through June 29, 2018. All backpacks will be donated to South County Outreach. South County Outreach is a provider of vital services and assistance to low income families, seniors and individuals in South Orange County. In addition to participating in this backpack drive, there are many other ways to get involved. The South County Outreach is always willing to receive donations of goods, time, and money. Volunteers to work their various programs are also welcome. Let's show our Anteater pride and let them know how we can help! For more information please contact Erika Hennon (949) 824-5951 or email engage@pts.uci.edu.